Hey you! You trendy 30-somethings! 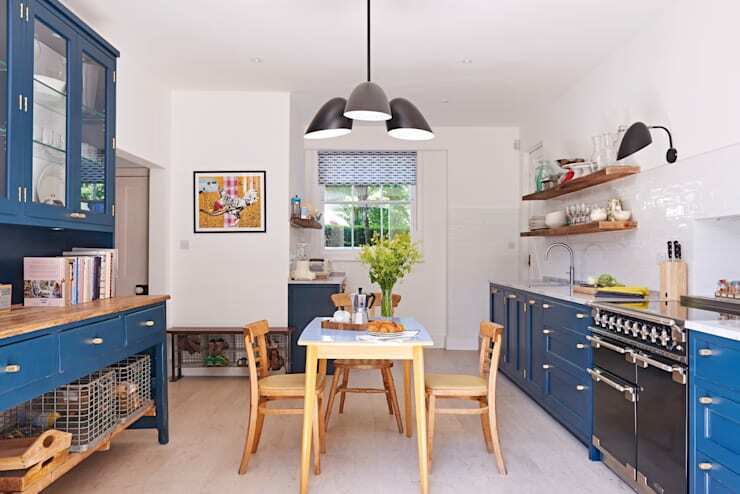 We know that you all have inner interior designers that are desperate to get out, so if you fancy giving your home a really stylish edge, you can't afford to not check out there terrifically simple, yet effective, home upgrade projects that we've come up with! Every room, from your kitchen through to your bedroom can enjoy some serious style injections and you won't need to sacrifice more than a few hours to the cause, so let's check out some awesome DIY projects that we don't think you'll be able to resist trying! 1. Turn accessories into wall art. 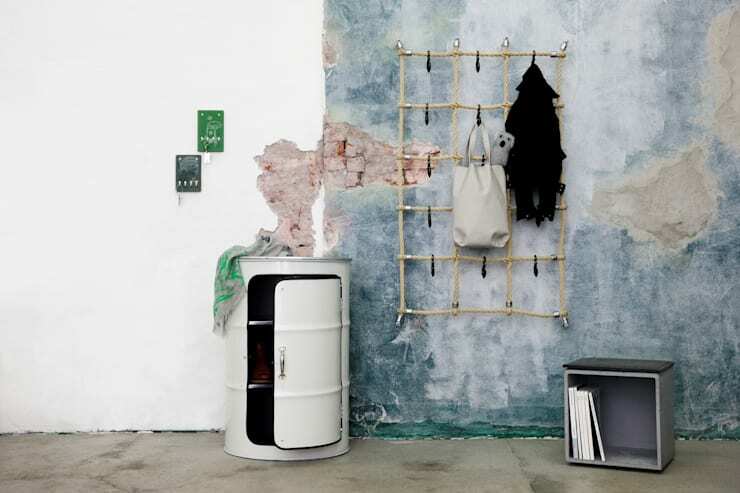 Your storage systems can be tantamount to art, if you display them in the right way! Try something funky, like cool hooks and netting! 2. 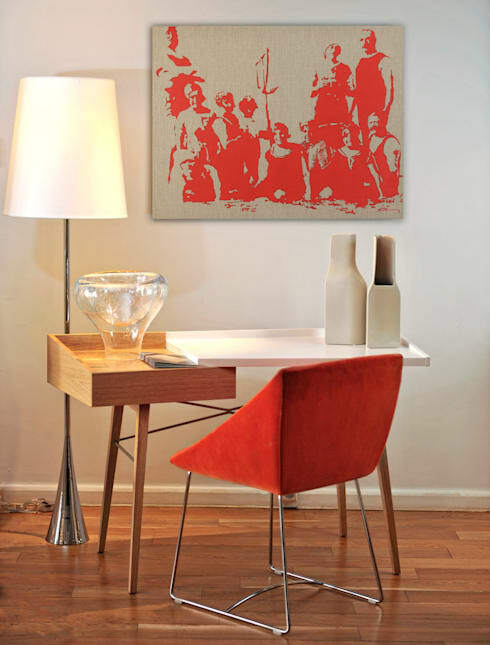 Transfer photos onto canvas. Who hasn't wanted to try their hand at screen printing? Well, this is a great way to get started! Print a favourite picture onto acetate and off you go! 3. Indulge in some IKEA hacks. Admit it; you have some IKEA furniture in your home, right? Well, you can make it more interesting by personalising it or hacking it to create something new! 4. Get your washi tape on. Washi tape is handy for more than just envelopes! 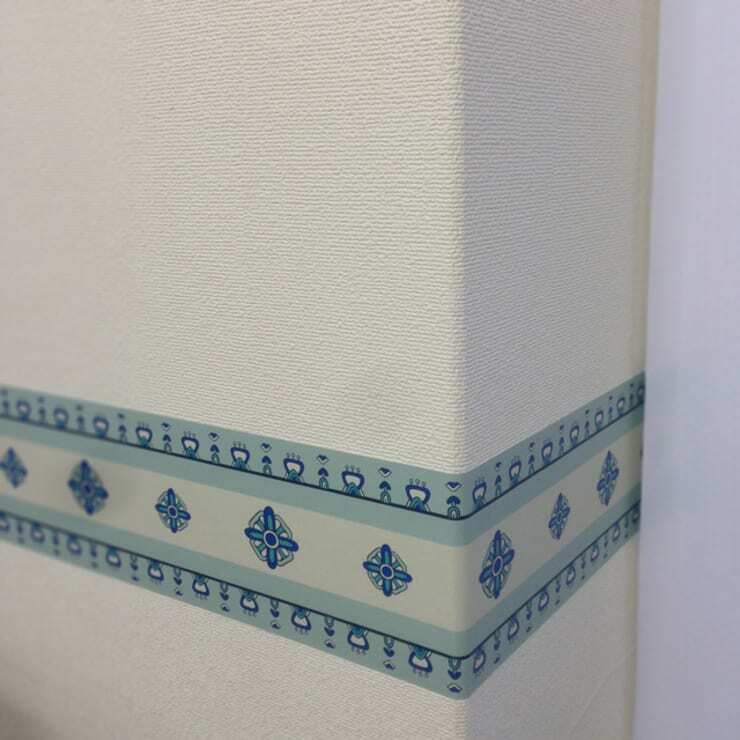 You can create stunning borders with it on your walls too and the best part is that it will peel off, leaving no damage. 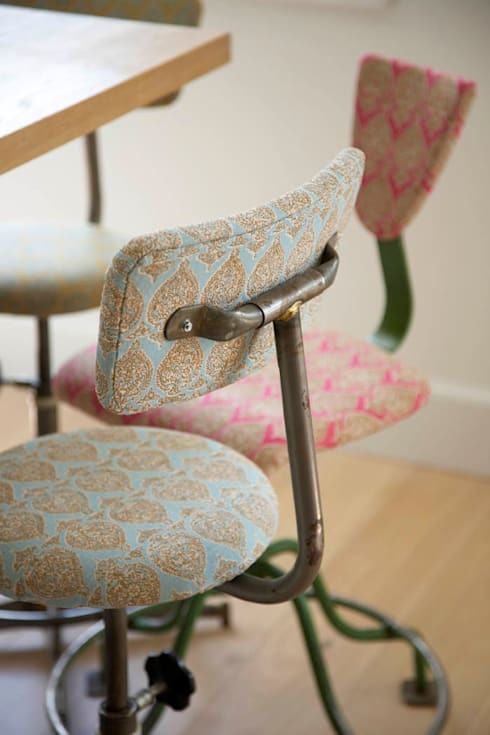 Don't shy away from tatty chairs that you find in thrift stores, as a staple gun and some pretty fabric will give them a whole new look! 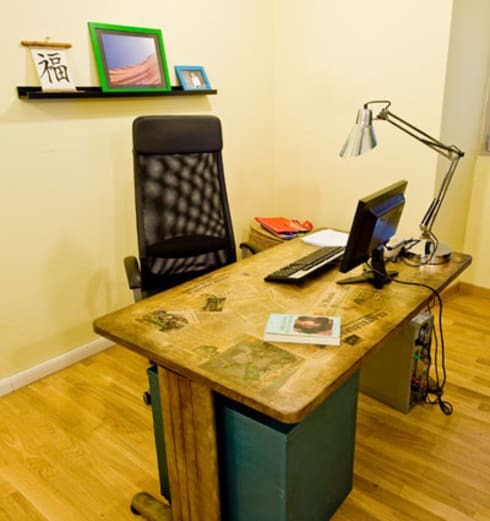 If your desk has seen better days, cover up all the scratches and grime with a cool decoupage finish! PVA glue and funky pictures are all you'll need. 7. Sleep easy on some pallets. Pallet furniture looks great, is easy to make and is SO cheap too! For an industrial loft look, screw a few plain pallets together as a stylish bed! 8. Sew your own cushion covers. It's time to dig out your sewing machine! 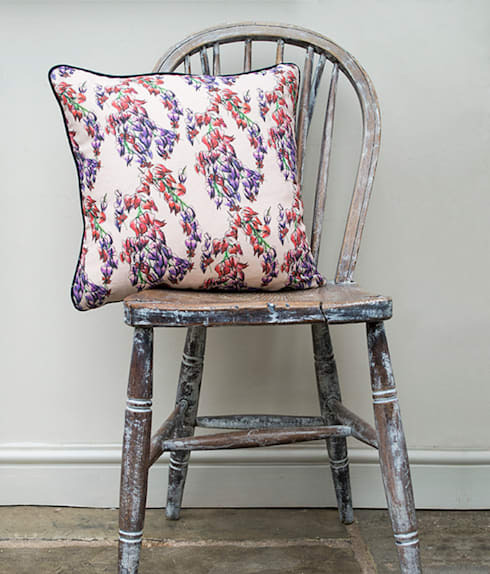 A simple straight stitch is all you need to master to be able to make some really pretty cushion covers. 9. Are you arty enough to tackle a mural? 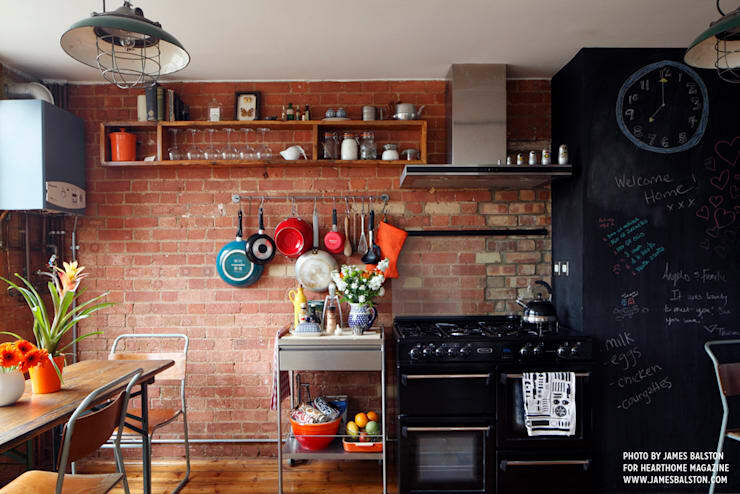 Unleash your inner Picasso and go to town on a wall in your home! Perfect for adding life to a plain bedroom, a wall mural is the ultimate in personal DIY projects. 10. Hang a wallpaper feature wall. 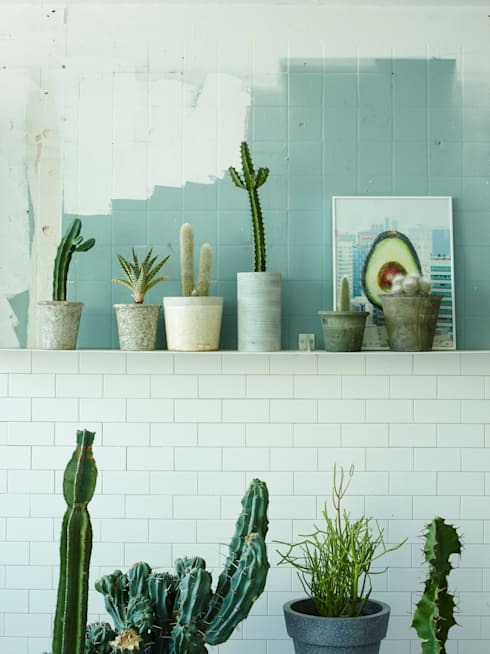 You don't need to wallpaper a whole room to get an amazing effect, as one simple feature wall will be impactful enough and can take just a couple of hours to complete! TIP: You can get removable wallpaper your favourite home improvement store. Perfect for rental properties! 11. 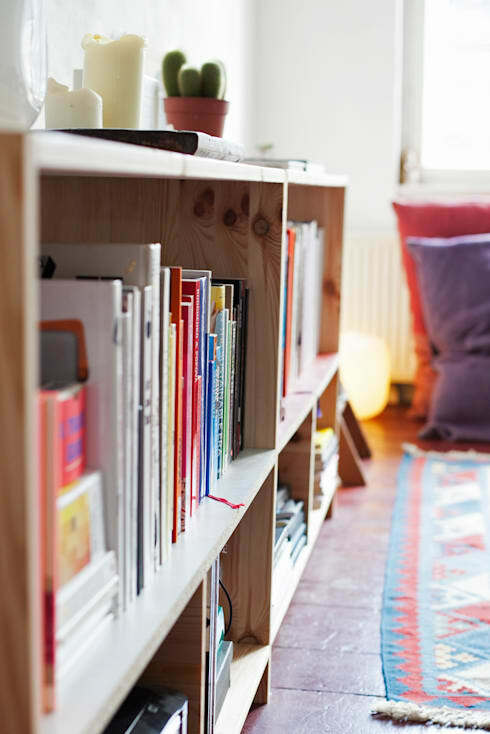 Colour-code your home library. Sorting your books according to the colours of the spines will instantly add some serious oomph to your shelves. 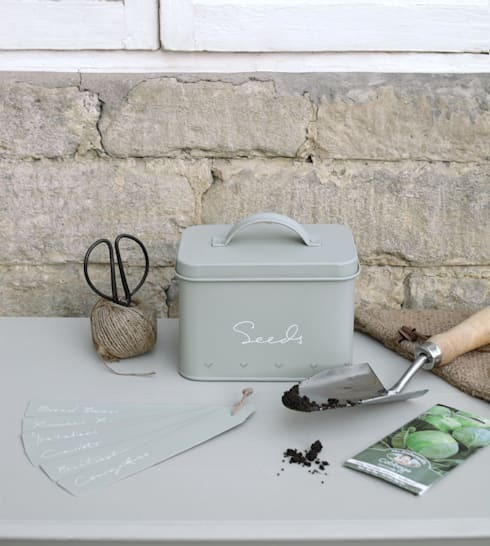 Making your own labels for things like your gardening or cleaning caddies will make them so much more organised. We like the look of brown parcel tags! 13. Make your own wall art. 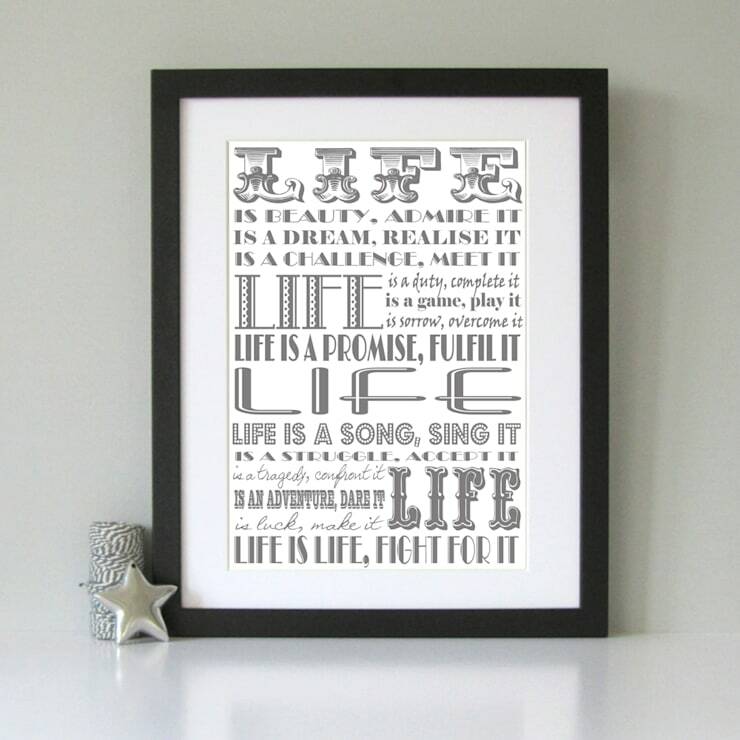 Why not print out a favourite quote, in a funky font, and frame it for your wall? You could even upcycle an old or plain frame with some metallic paint, to be really on-trend right now! 14. Get to grips with varnishing wood. 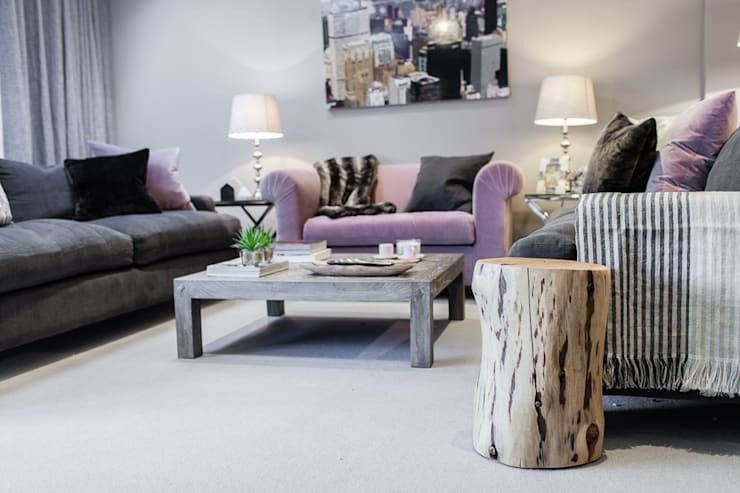 Ever wondered how you can add some natural wood to your home? It can be as simple as a varnished log, if you sand and seal it properly. What a great side table alternative! 15. How about origami table decorations? 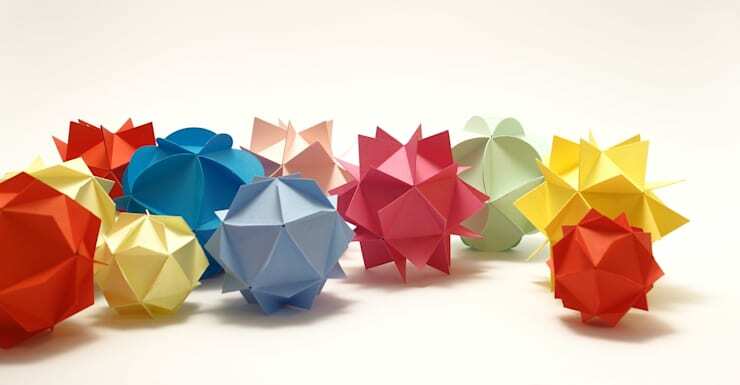 Origami doesn't have to be a dark art, if you follow some online tutorials. Origami decorations make fantastic table centrepieces, if you pop a few into a decorative bowl! 16. Create a simple closet. 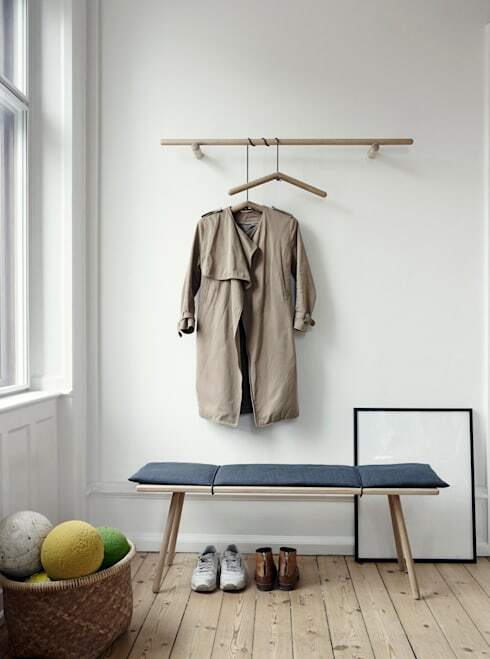 Natural wood and a length of dowel are all you need to make a minimalist, yet very stylish, closet alternative! 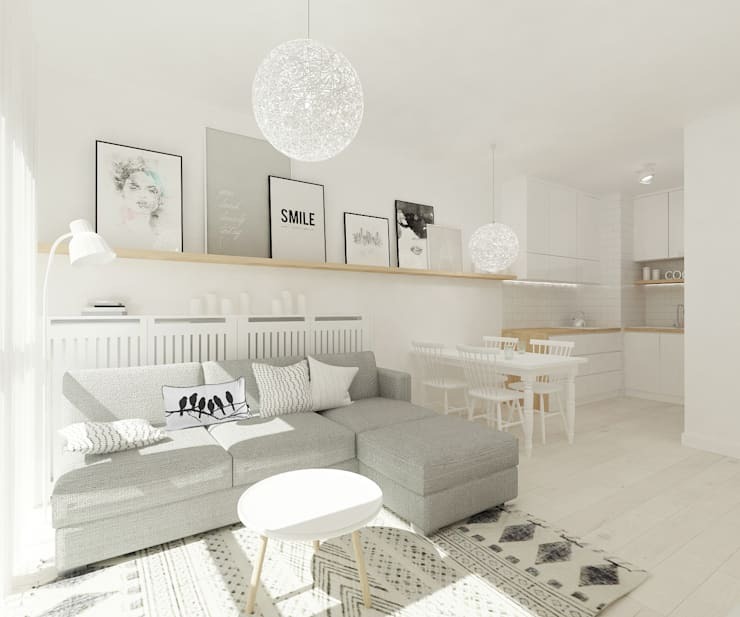 We think this one has a real Scandinavian look to it. 17. Floating shelf designing is a piece of cake! Floating shelves are so simple but offer a wealth of wonderful storage and display potential. Natural wood would look great on white walls. 18. Make a key holder. 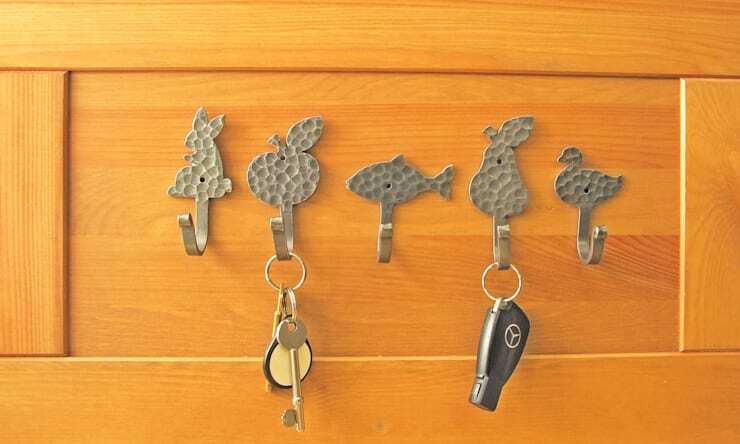 You can make a handy key holder from anything you like! Store-bought hooks can be painted and embellished with ease and a pretty backing board would be a doddle to make. 19. 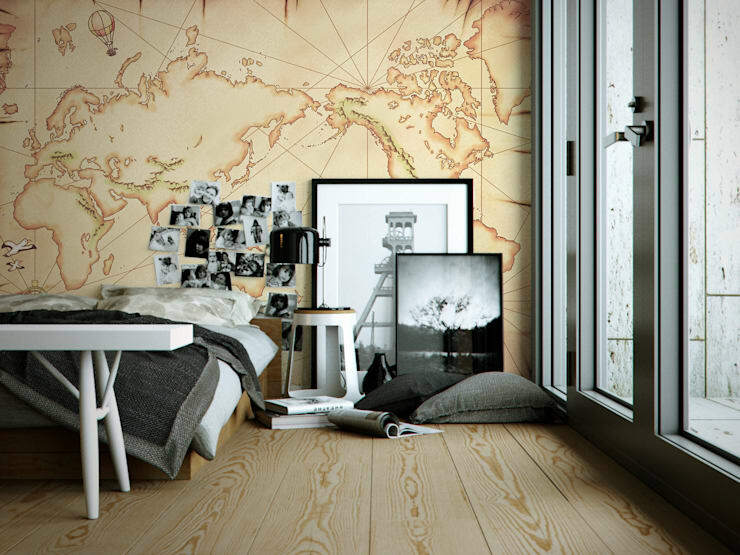 Repurpose maps as wallpaper. 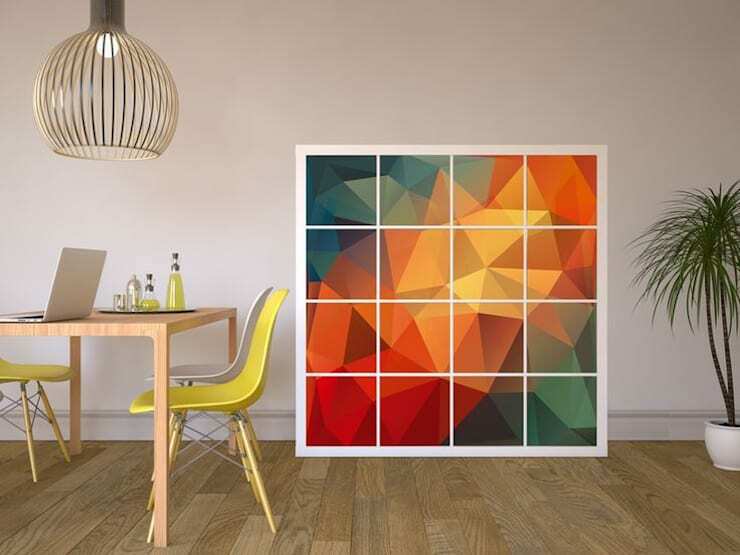 Fed up of boring wallpaper? Keep an eye out for old maps in thrift stores and at garage sales! 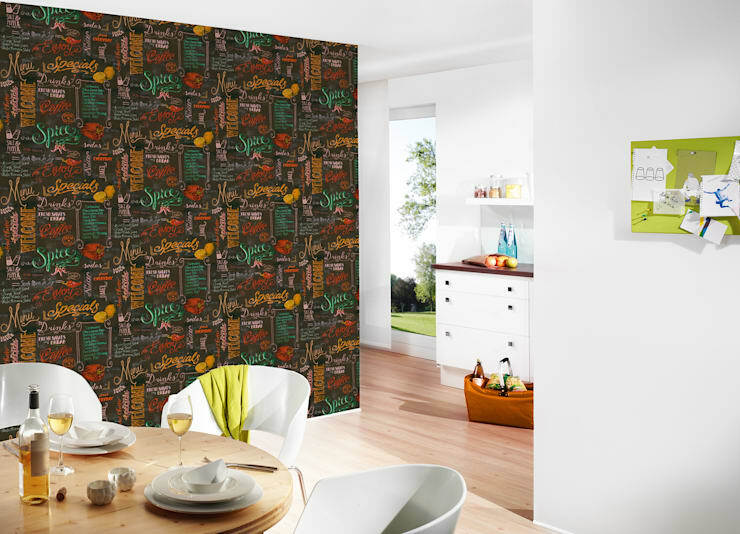 They'll stick to the wall like standard wallpaper, but look so much funkier! 20. Use dowel in a more creative way. 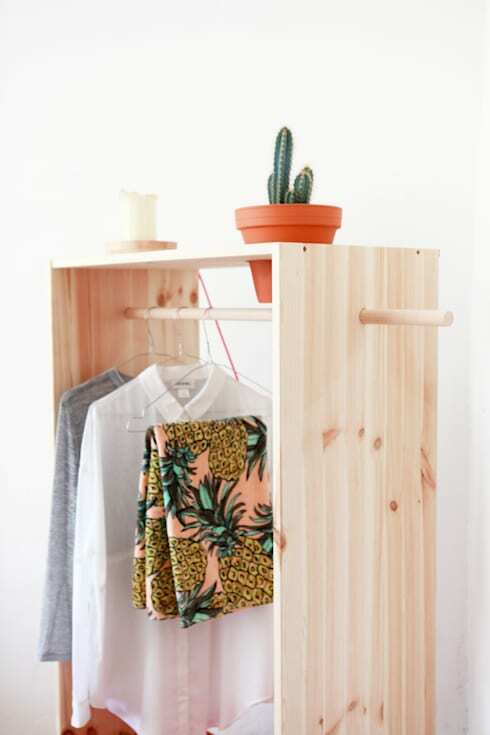 For a unique yet minimal clothes rail, you can't go wrong with a single rod of wooden dowel! Cheap, easy to install and so effortlessly cool, you know you want to try this out! 21. Embrace the vintage look. While you're out and about, keep your eyes peeled for some interesting vintage pieces. Ceramics, cookware, pictures… everything looks great and adds instant character to your home. 22. 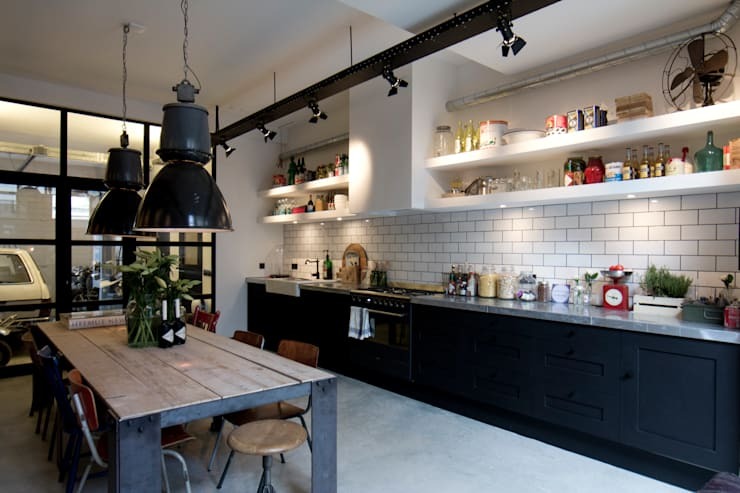 Make your kitchen more open. This tip is SO simple! For a more modern and functional kitchen, simply take the cabinet door off your top cupboards! The open look is so in right now! 23. Cast your own plant pots. Casting concrete is the easiest thing in the world and we think that some simple plant pots are a great way to start! You could add some rose gold spray paint afterwards, to cash in n the metallics trend too. 24. Paint your kitchen cabinets. Finally, if you don't want to spend much money but want a big change in your home, it's time to paint your kitchen cupboard doors! Your local DIY store will have a myriad of paints, including those for specialist materials! Which of these ideas are you going to try your hand at?